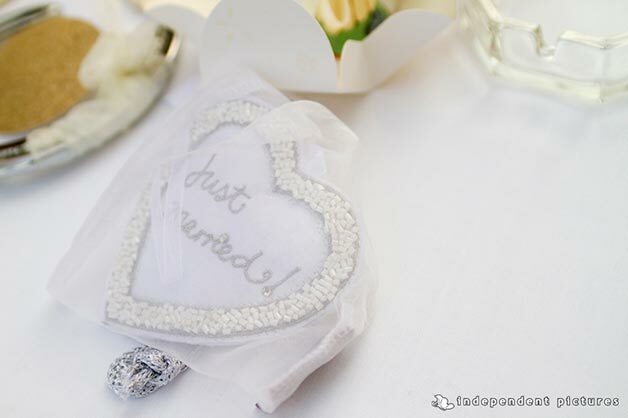 We are back to Lake Maggiore to tell you about a sweet wedding we planned this past summer. I had the chance to meet Kate and Blaine more than one year ago and I really liked them from the beginning! 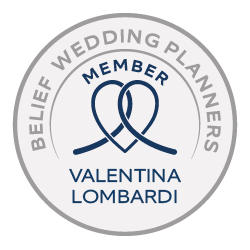 They wanted to celebrate their wedding on the same day both their parents did, in a special, simple yet elegant way and of course in Italy! 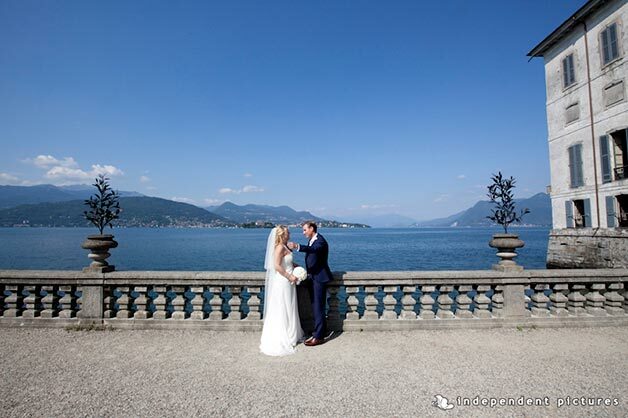 We looked together at several options and at the end they chose Lake Maggiore as their wedding destination. 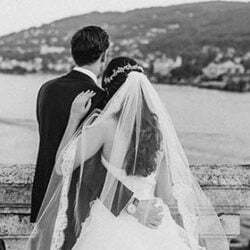 They loved little town of Stresa, the so called pearl of the lake, Borromeo Islands and a wonderful hotel in Baveno and they simply decided to involve all of them for their special day on the shores. 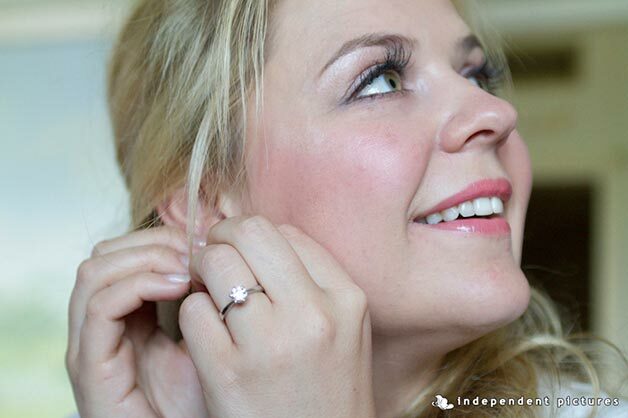 atie decided to get ready with her bridesmaids in one of two most famous hotels in Stresa: Hotel Regina Palace. 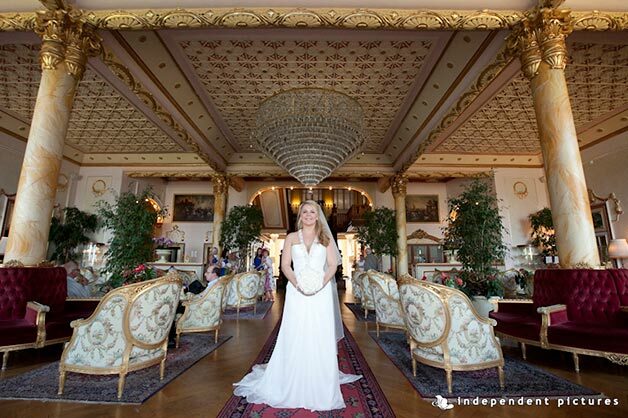 The interiors are just amazing, you can breath Belle Epoque style here and feel like a queen for a day! Blaine on his hand got ready to Grand Hotel Dino in Baveno. 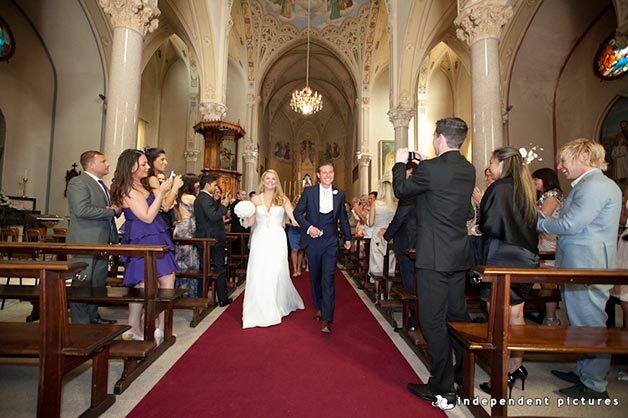 Katie and Blaine, both Catholic, wanted a church ceremony and after visiting some between Stresa and Baveno they decided for Church of Carciano. This is located a little aside from the center of Stresa but it surely one of the most beautiful. 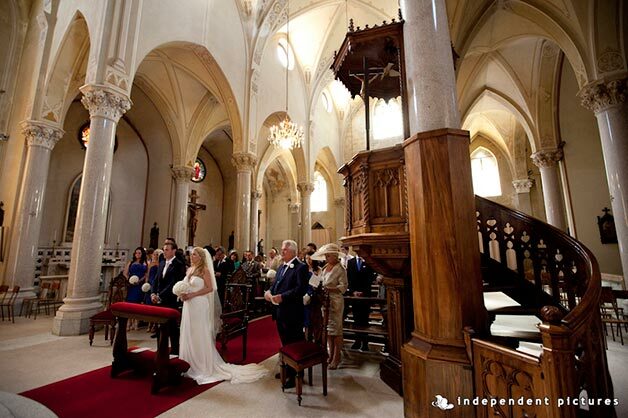 It was built in 1700. It has a Gothic style. 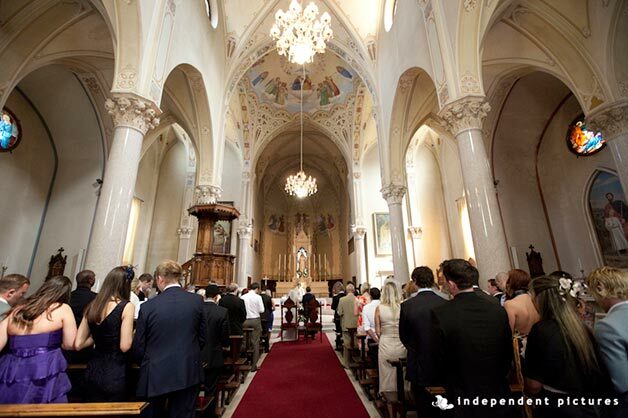 Its facade is built with local stones and the indoor vault is bright and wide, a real little cathedral on Lake Maggiore! I can imagine why Katie and Blaine loved it so much. 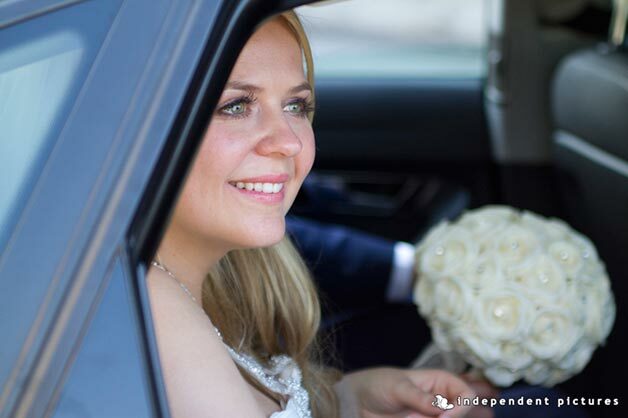 Katie arrived with her bridal car accompanied by her lovely bridesmaids while Blaine was waiting for her inside the church, very nervous. 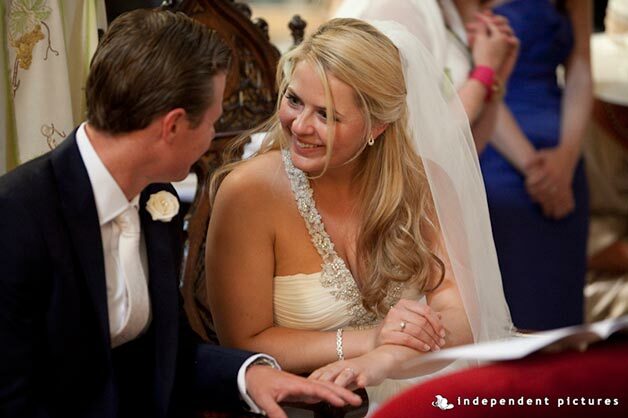 But when he saw her in her wonderful wedding dress his lovely smile came back. 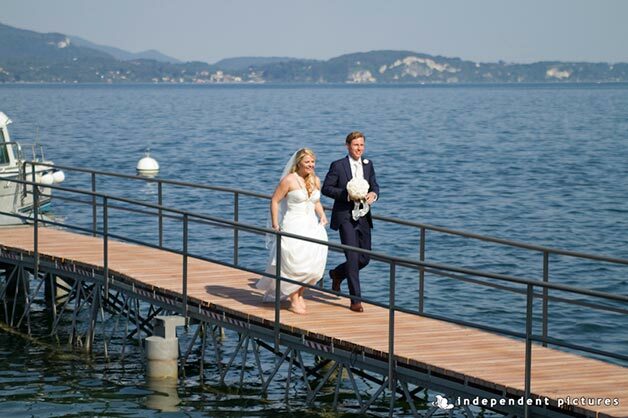 After the ceremony Katie and Blaine really wanted to take some time for them to reach Borromeo Islands and Isola Bella in particular. 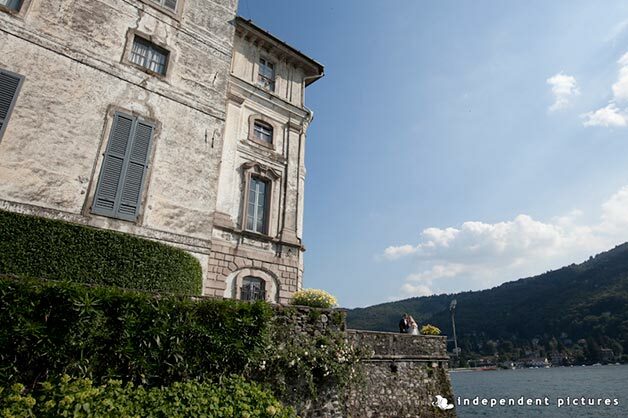 Independent Pictures Team took lovely shoots of bride and groom on Isola Bella and its famous Palace Borromeo. Katie and Blaine reached GRAND HOTEL DINO by boat. 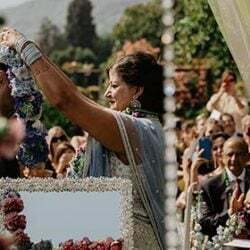 It is just here that they wanted to have their reception. I remember when we saw it together for the first time. Blaine loved it so much and Kate was breathless looking at the sunning view you can enjoy from here. So their choice was really easy! 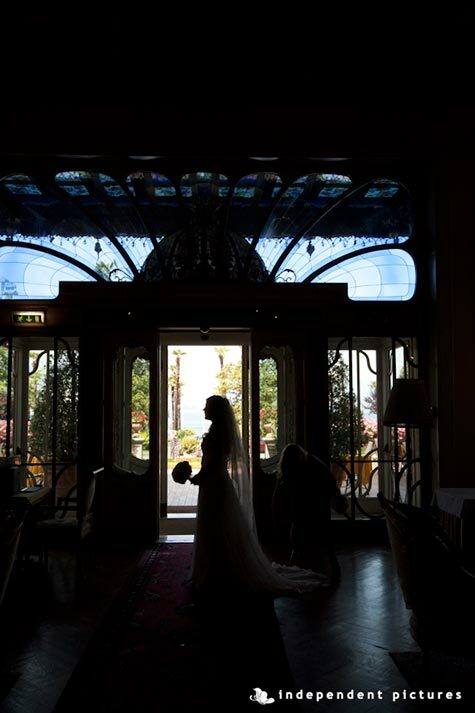 In the enchaining frame of Lake Maggiore in lovely town of Baveno Grand Hotel Dino offers one of the best scenarios to plan a wedding, and not only! 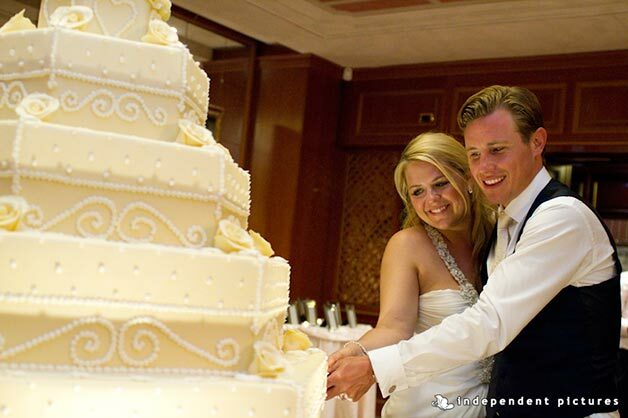 Grand Hotel Dino can turn your wedding in a real dream making it unforgettable! 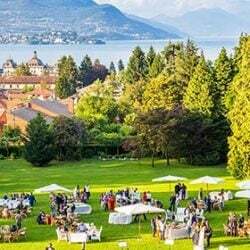 After a pleasant and relaxing aperitif in hotel garden just by the shores it is time for reception. 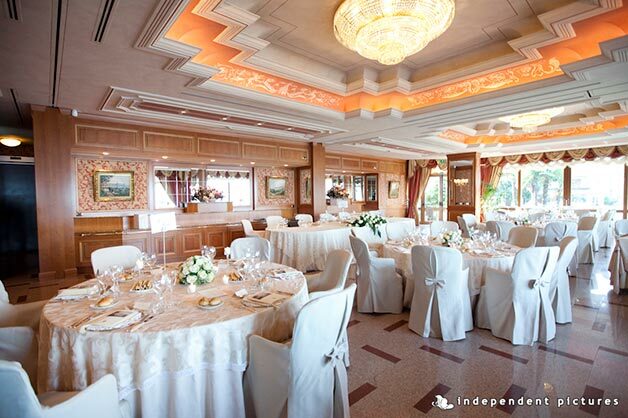 Panorama Room is the room we usually suggest for our weddings at Grand Hotel Dino. It overlooks the Lake and Borromeo Island and you can even see little village of Pallanza on the other side of the lake. At night the little lights of the villages on the shores make the view just spectacular! For her decorations Katie wanted something simple in white with candles to enhance the beauty of this room. 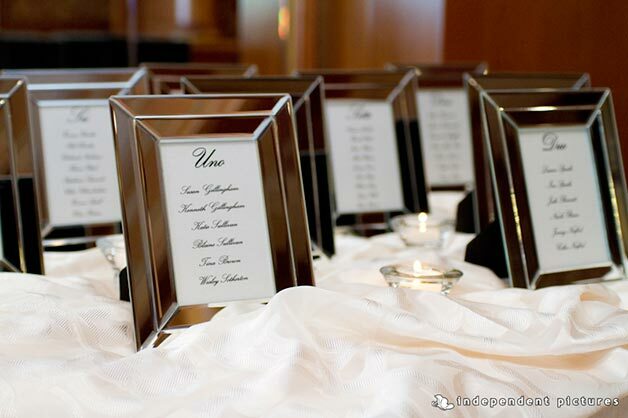 As table plan lovely mirrored frames that matched sparking details of the room. A lovely meal and then…. 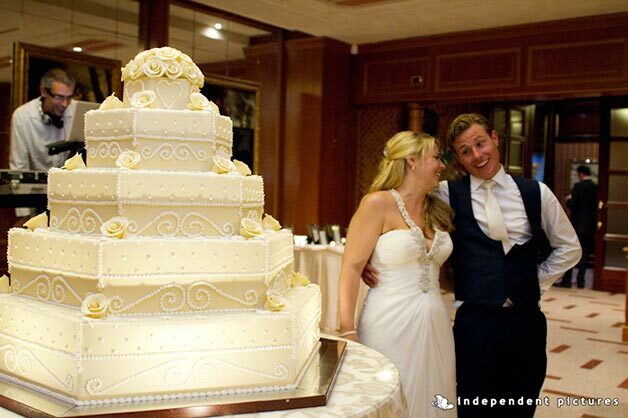 a big wedding cake for our bride and groom! It was a real surprise I personally planned with the hotel staff they did not know that the cake was so big and all simply loved it. 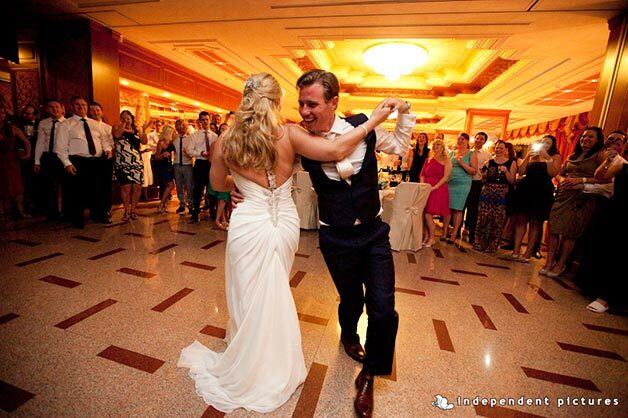 If you want to plan a real fun party Grand Hotel Dino could be a wonderful choice! 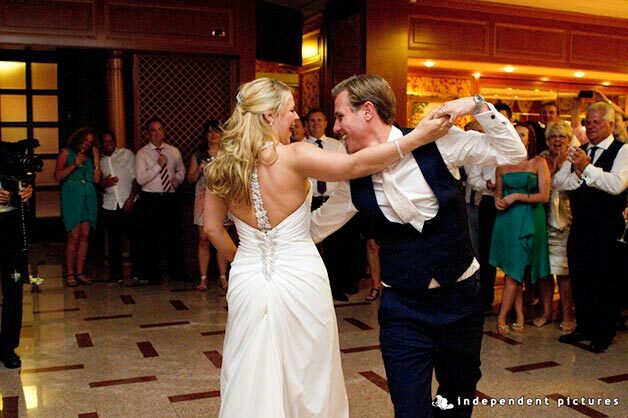 Music and dances can go on until 2am and if you do not believe me have a look at the atmosphere we had at Katie and Blaine’s wedding. Isn’t it a real fun? 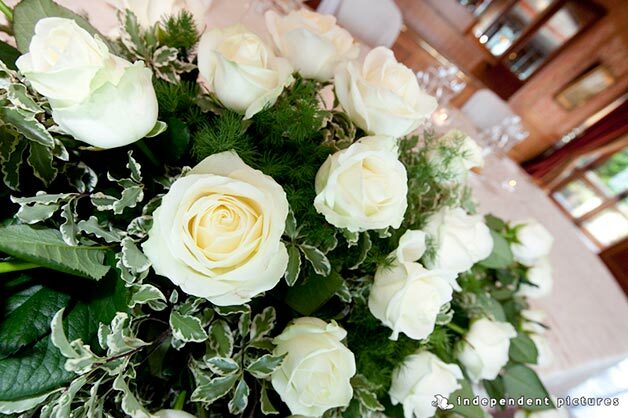 A big thank you to La Piccola Selva for their lovely floral arrangements, wonderful as usual, and Independent Pictures Team for their lovely pictures.